Finally Day 3. I was looking forward to this day because of road 622 (I saw on some websites that it is one of the most dangerous roads on the island). From Breidavik we retourned on road 62 but this time headed to Patreksfjordur. Roads 63 and 60 were not that bad, except potholes created by spring/summer. Landscapes were great and, if we had more time, it was worth a stop. 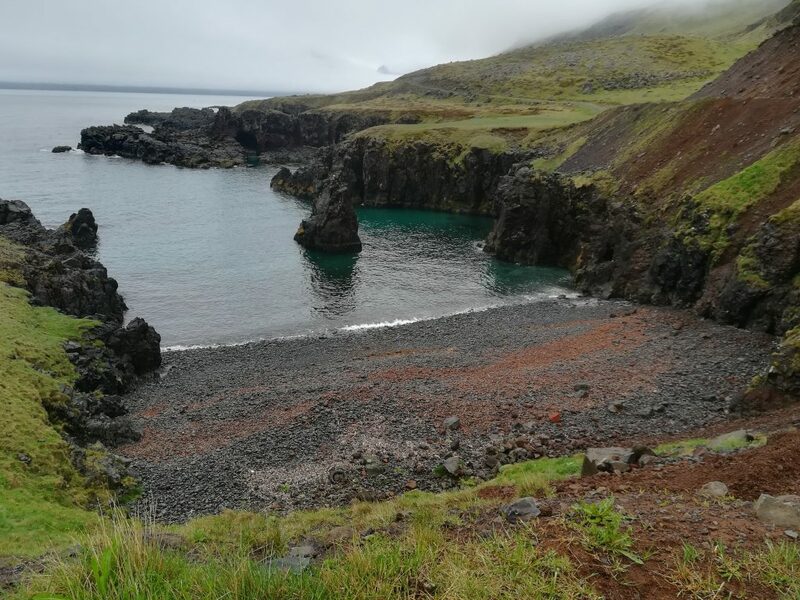 After some time we reached Dynjandi: the jewel of the Westfjords. This magnificent waterfall sits above 6 other little ones. This in one place to visit when travelling around Westfjords. Going forth on our trip we totally missed 622. It was not marked anywhere and it looked like a farm field road. Luckily, with a bit of guessing we managed to set our wheels on it. This picturesque path follows the coastline. According to some websites you can drive here only with low tide: in one place you may have to drive into the sea to make a turn. We tried to reach that beach with low tide (consulting surfing (!?) websites) but as we arrived there: sad surprise! The water was far from the road. Probably the water reaches the road only on high tide or mid-way. Next time around we’ll stay there and check. Road 622 is sometimes challenging. Not because of its difficulty: it is still a road and it is not a rock climbing path, but because it is very long and the average speed is about 10-20 km/h. Lanscapes, as usual, are superb.